A number of allusions are made to the previous episode, “Lab Rat” (78)… For a better understanding, it’s preferable to have seen or read about this episode. 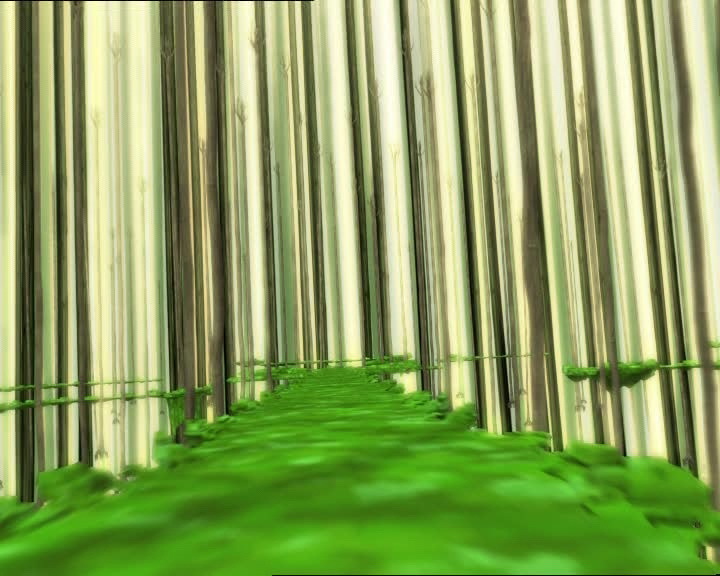 The episode opens on Ulrich and Yumi, Teleported in the corridors of the scientific complex where the supercomputer generating the Forest Replika is. A voice-off announces that we’re going back to a few hours earlier: we’re at Kadic. Jim is teaching a class on jumping onto the pummel horse! He makes a fool of himself when giving a demonstration. Herb turns out to be even worse than his teacher. Jim orders Odd to stop teasing and make a fool of himself too, but he sends up doing a remarkable and admirable jump! He affirms that what Jim said was true: only a halfwit couldn’t manage it. The sport teacher, annoyed, gives him four hours of detention! Odd complains about this punishment to Ulrich under the arches. The boy reminds his friend that he was pretty rude and pretentious to Jim. Odd states that he is not pretentious. 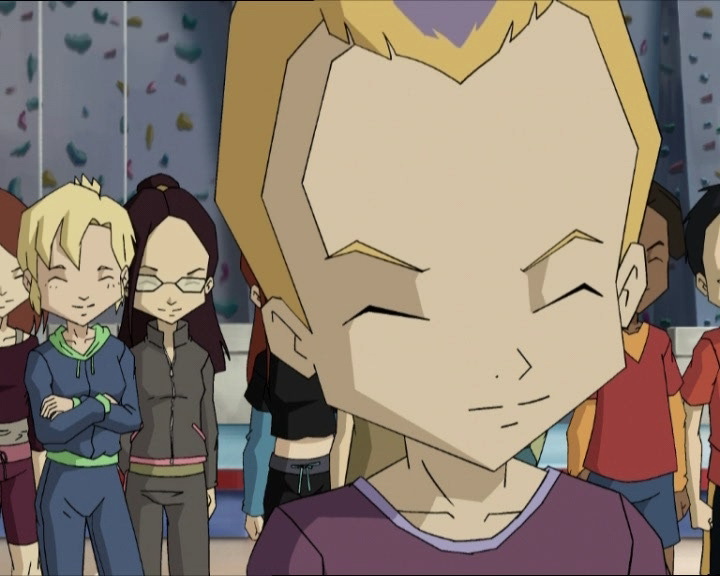 At that same moment, Aelita and Jeremy join the conversation, on Ulrich’s side: Odd’s middle name should be Braggart! Vexed, Odd offers up a week of desserts if he can go 24 hours without bragging. Ulrich accepts! Nevertheless, Jeremy reminds them of their work to do: that night, they’re going to go to the factory and finally destroy the supercomputer generating the Forest Replika. 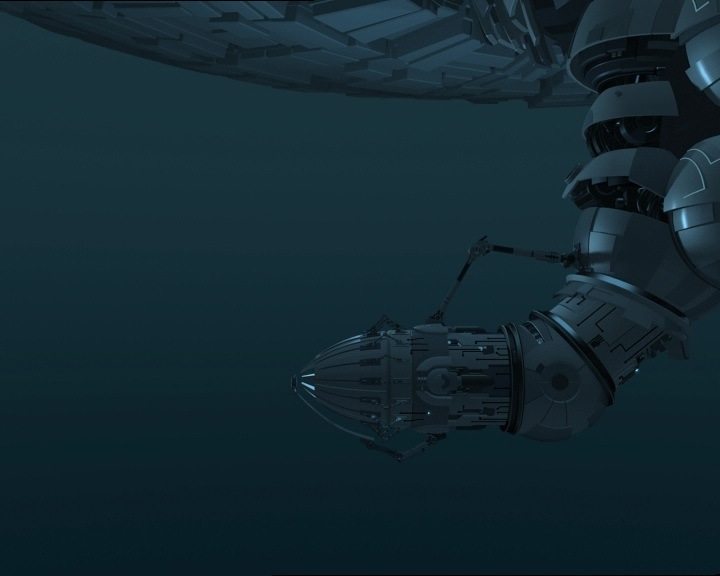 And “we don’t think it’ll be a problem: Odd knocked out the energy fields protecting it last time!” Said Odd starts to brag about how he destroyed the generator, then corrects himself after remembering his agreement from earlier. In a sequence we’ve grown accustomed to, we see the heroes go to the factory, virtualise, take the Skid, dive into the Digital Sea and resurface in the Forest Replika. 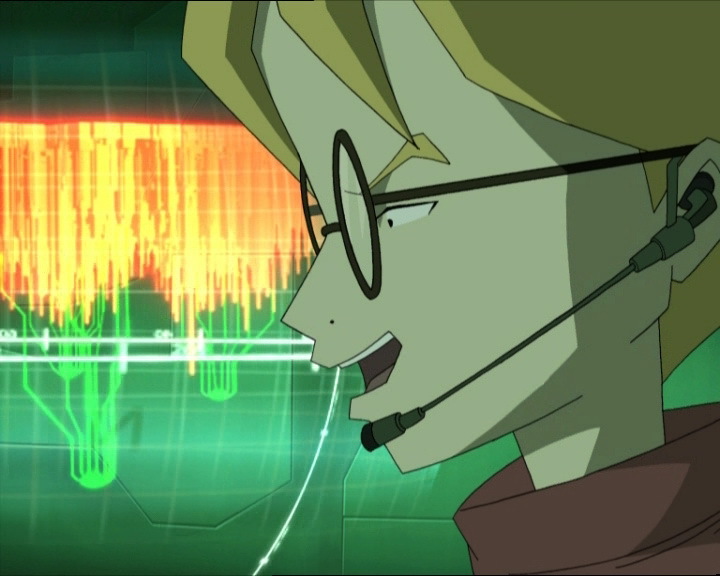 Aelita anchors the submarine to a tower, which Jeremy activates. He then Teleports Ulrich and Yumi and leaves Aelita and Odd to defend the Skid. Odd says that he should’ve gone, “considering my extraordinary exploits last time”. But according to Jeremy, everyone needs to be given a chance to have fun. Aelita has another point of view: any more bragging and Odd will have nothing but humble pie to eat for a week. Jeremy curses Ulrich’s stupid move and searches for another solution… He proposes they find the power supply that keeps the doors shut! Jeremy then guides his friend to the generator. On the Replika, a tower activates. 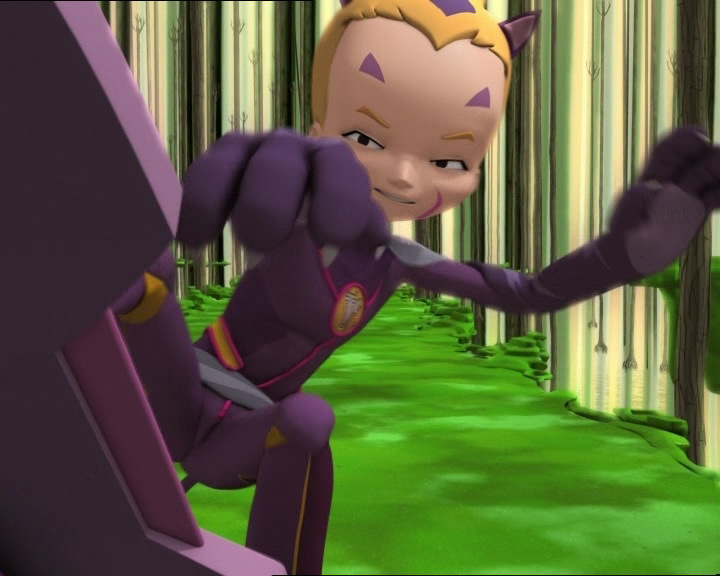 Odd and Aelita set off to take care of it… But another trouble appears! William and three Hornets have arrived. 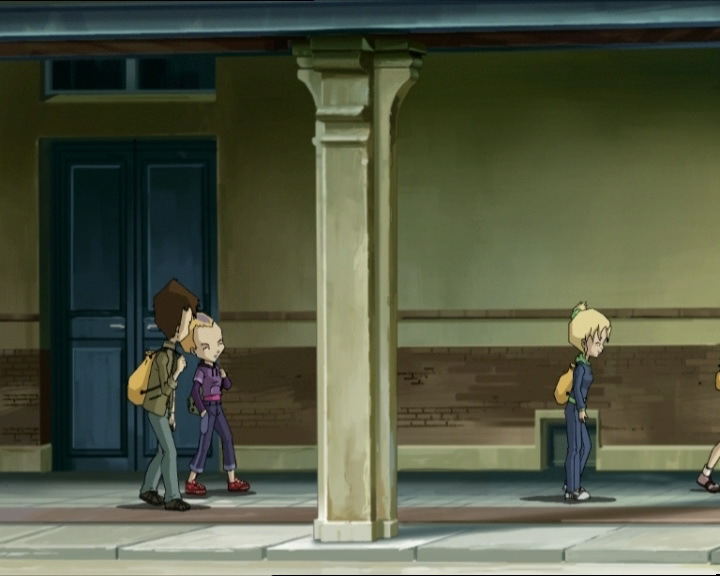 Jeremy refuses that Aelita and Odd separate: the tower is too far, they need to fight William together. On Earth, Ulrich has discovered the generator. The problem is that there are tonnes of buttons on it. Ulrich proposes they short-circuit the generator with his sabres, rather than searching for the right button to open the doors! Jeremy thinks about it. Back on the Replika, Odd is fighting the three Hornets on his Overboard. By slowing suddenly, he gets behind them and destroys one with an arrow, then a second! On her end, Yumi hears noises: the vivarium is broken and XANA’s attack is revealed: it took control of the cybernetic spiders. They attack and chase Yumi. Jeremy orders Ulrich to attack the generator. The short-circuit works and the supercomputer shuts down, and at the same moment, the spiders collapse. On the Replika, the final Hornet disappears. Aelita was having trouble against William, but the Replika starts to disappear, causing the XANA Warrior to fall into the Digital Sea. 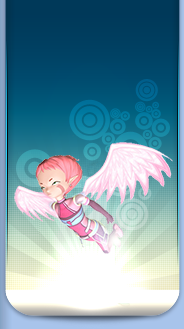 Aelita deploys her wings! Jeremy prepares to deteleport his two friends. However, at the base, everything turns back on again and the spiders wake up: there’s a backup generator! The Replika also reappears. Ulrich and Yumi meet up to confront the cybernetic spiders! Ulrich saves Yumi by destroying one. Fleeing through the corridors, we see the scene at the beginning of the episode where the two heroes are stuck between walls and corridors blocked by spiders! 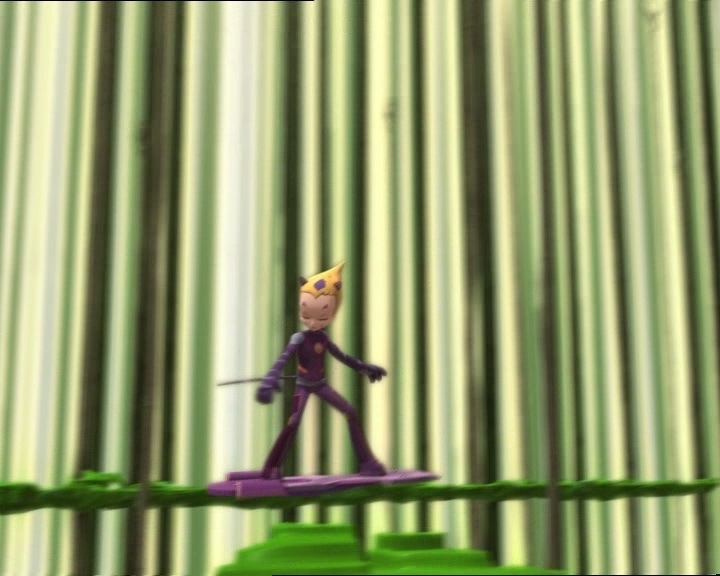 Aelita is sent to deactivate the tower! On the Overboard, three more Hornets come to crash the party! At the same moment, William reappears in front of the Skid. Odd confronts him, then asks if he wants to play tag! The XANA Warrior swings his zweihander, but Odd is too quick and dodges, fighting William with just his paws! He even delivers an uppercut to his face! After hitting William several times, he cops a violent whack from his sword and flies back towards the Digital Sea, grabbing on to the end of the platform. He whistles to grab William’s attention and fires several laser arrows at him, causing him to disappear into black smoke! Yumi and Ulrich aren’t coping well at all, and the spiders send them back to the Skid! Jeremy decides to try Teleporting Odd, just beside the backup generator! He needs to act fast: two Tarantulas begin to assault the Skid! Inside, Ulrich and Yumi are still unconscious and unresponsive. 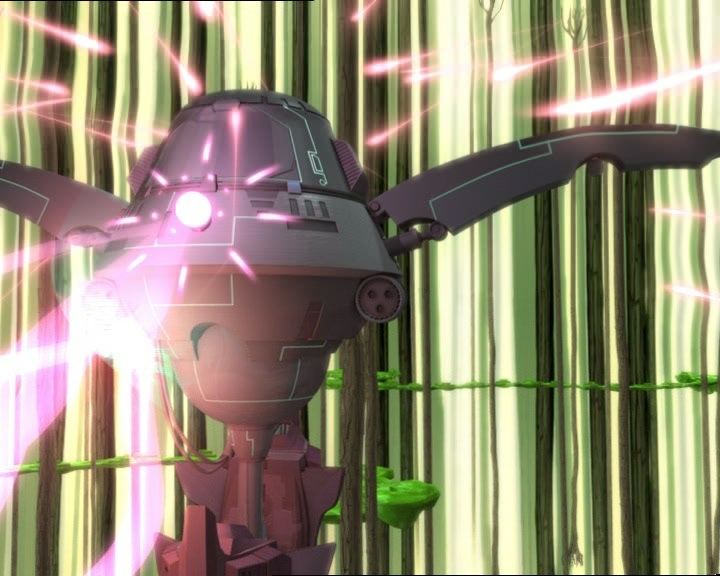 Further away, the three Hornets fire at the Overboard, then devirtualise Aelita as she’s approaching the tower. It’s up to Odd now. In a heroic charge, he destroys the cybernetic spiders, combining precision and agility while jumping from spider to spider. He sends his final laser arrow into the auxiliary generator, leaving the base and supercomputer deprived of energy. 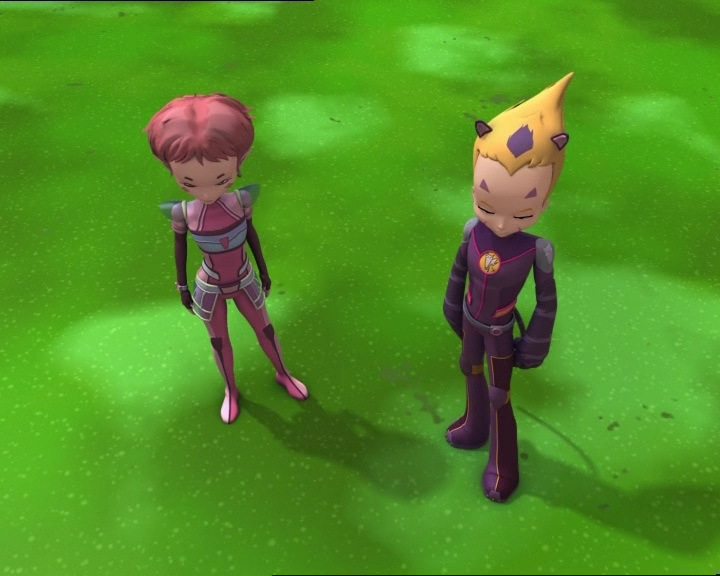 Jeremy deteleports him and the catboy brings the Skid away from the Tarantulas and leaves the Replika before it explodes in the network… Aelita states that they couldn’t have asked for an easier mission! Back on Earth, Odd acknowledges that he’s a braggart and loses the bet. He admires himself in the mirror just before the ending credits! 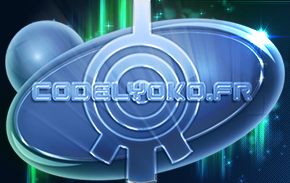 - Attack: Follow-up to the attack in episode 78 “Lab Rat”. With more scientists, XANA controls the mechanical spiders of the Amazon laboratory. - First time Odd pilots the Skid. - First time Odd defeats William. - When Odd is fighting the cybernetic spiders in front of the backup generator, his arrows are reloaded to at least 5000. He then fires two arrows, and Jeremy tells him he only has one left. - The marks under Nicolas' eyes disappear when Herb mocks Jim. - During the Teleportation, the pink marks on Odd's cheeks disappear in two shots. - The factory microphone is in Jeremy's right ear when he says “holoweb system connected”, a part of it disappears at the moment when he says they're ready, after the destruction of the Replika it's still in Jeremy's ear though he removed it in the previous shot, and it had a cable. - This episode continues on from the previous one. Therefore it's preferable to have seen or read about it first. A number of allusions are made to it. - First episode in which we hear a voice off announcing a time change. - First episode opening on a scene which takes place later in the episode, followed by a jump back in the storyline. - Only episode in which William's icon appears blue on the factory screen. - We can note that Odd defeats William in the same way he defeated Ulrich's XANAfied virtual envelope in episode 62 “Nobody in Particular”. - Odd vaults just like Yumi does in episode 58, “The Pretender”. - Final appearance of the Forest Replika. - Arachnophobia (the French episode title) means a fear of spiders. Ulrich: Uh-oh! To think this was supposed to be a piece of cake! Voice off: Several hours earlier. Jim: I’ll say it once more, for those of you who were daydreaming. 1, run up. 2, jump onto the springboard. 3, push off of the horse. 4, pike vault and 5, land feet together on the mat! You got that? Herb: No, I didn’t get it at all, coach. So would you mind giving us a demonstration, Jim? Jim: What’s the matter with you, Pichon? There’s nothing to it, only a halfwit couldn’t manage it! Jim (annoyed): Pichon! Funny, huh? Let’s see what you can do, and don’t forget those five golden rules! Jim: Della Robbia! Front and centre, it’s your turn to fall flat on your face! Odd: Well how was that? You’re right, Jim, only a halfwit couldn’t manage it! Odd (annoyed): Come on! I don’t believe it, I do a vault worthy of the Olympics and bam, four hours of detention! Is that the kind of payoff I deserve? Odd: Pretentious?! No-one’s more humble than I am! Jeremy: Who are you trying to kid? Your middle name ought to be Braggart, Odd! Aelita: That’s for sure, I can’t remember even one day that you didn’t sing your own praises! Odd: Hey, that is so wrong! And I can prove it to you too! Ulrich: Ok, I bet you a week of desserts that you can’t go 24 hours without bragging! Odd: You’re on! I know someone who’s just won himself some yummy seconds! Jeremy (impatient): Hey, are you guys all through? Maybe I oughta remind you that we’re supposed to be blowing up XANA’s supercomputer tonight after class! Ulrich: In the jungle? You mean we’re going back already? Aelita: That’s right, and we don’t think it’ll be a problem: Odd knocked out the energy fields protecting it last time! Odd: And once again where mere mortals would have failed, Odd demonstrates his great…uh…um, modesty and humility. Jeremy: So thanks to our non-bragging hero, it’s gonna be a piece of cake! Jeremy: Gotta give everyone a chance to have fun, Odd! Aelita: And if the only dessert you want to eat for a week is humble pie, just keep it up! Ulrich: Ok Jeremy, which way is it? Jeremy: Head east. You’ll go through a door, then go straight and a little further on at your left, you should see the door to the supercomputer room! Ulrich: Got it, we’re on it! Yumi: Jeremy, why can’t I get the door open? Ulrich: Let me handle this! Yumi: Great, now the panel’s dead and the door’s still locked! Jeremy (annoyed): What an idiot! I said to wait, Ulrich! Ulrich: Well you should’ve said it sooner! What do we do now? Ulrich: You know where the generator is? Jeremy: Yeah, I’ll guide you there! Yumi: I’ll stay here. As soon as it opens, I’ll go in and get rid of supercomputer. Jeremy: Ulrich, turn around and go back to the first intersection, then take the corridor on the right! Ulrich: I’m on my way, Einstein! Jeremy: Ulrich, do you read me? Where are you? Ulrich: In front of the generator! Jeremy: That’s great, tell me how it looks! Ulrich: Well…it’s this huge machine with a bunch of flashing thingamajigs all over it! Jeremy: Ok, now just neutralise the commutator that powers the lab doors. Jeremy: The button! Do you see a little red button? Ulrich: There’s not just one, there are millions of them! This thing’s lit up like a pinball machine! Jeremy: Just proceed by elimination. Ulrich (determined): No, I’m gonna do this my way. Jeremy: Your way, huh, Ulrich? Like, smashing up the generator with your sabre and short-circuiting the supercomputer? Jeremy: Uh…give me a minute to think it over! Yumi: Jeremy? Remind me of what there is in the vivarium? Yumi: I’ve had enough of your cyber spider web! Yumi: Jeremy, those cyber spiders are being controlled by XANA, and they’re just behind me! Jeremy: Not for long, the supercomputer should be offline in just a couple of seconds. Ulrich, your idea isn’t big on finesse, but it should work. Do it! 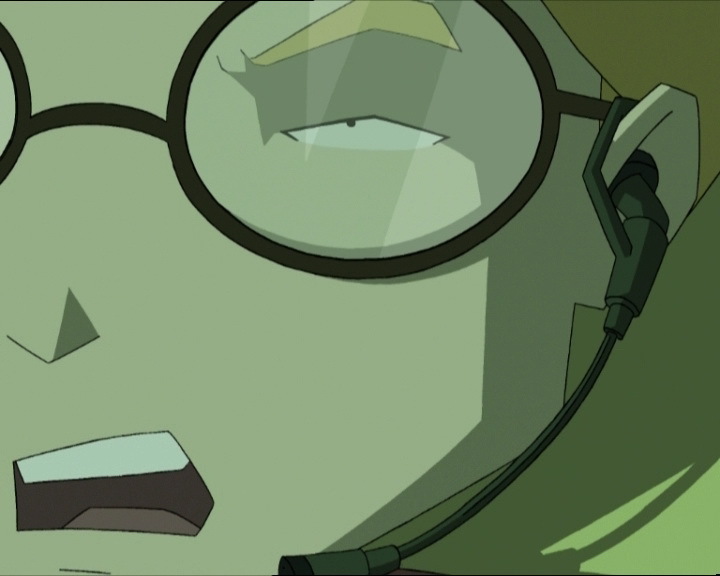 Yumi: Hey Jeremy, whenever you want for that short circuit! Jeremy: I told you this was gonna be a piece of cake! You can head for the Skid now, your mission’s over, guys! Are you ready, Ulrich? I’m Teleporting you back. Ulrich: Ah! Uh, hold on, I think something’s up! Ulrich: The power’s back on! Ulrich (about the generator): Only where is it? Ulrich: Better hurry up. I’m going back to Yumi! Yumi: And what’s that alarm? Jeremy: Oh, someone’ll hang up, nothing important! Jeremy (in disbelief): Odd, did you just blow William away by yourself? Odd: What do you think I am, a braggart? Jeremy: Get out of the lab, and watch out for spiders! Odd: I can’t see any hairy legs yet! Jeremy (seeing two Tarantulas approach the Skid): Well I can, Odd! Odd: Jeremy, I’m out of the lab. Which way now? Jeremy: Go left. You should run right into the auxiliary generator! Odd: Jeremy, I need ammunition! Jeremy: Hang on a sec, I’m reloading you now! Jeremy: Ok, you’re all set! Jeremy: Odd, you’ve got just one arrow left, so take good aim! Odd: One arrow is all I need! Jeremy: You can come back, Odd! It’s over! Aelita: You were right, you know. You couldn’t have asked for an easier mission! Ulrich: He took out both William and the supercomputer on his own?! That’s crazy! Jeremy: What’s crazier is that he hasn’t bragged about it even once! Jeremy: Who knows? Maybe he’s changed. Ulrich: You mean he’s suddenly become humble? Jeremy: Miracles happen! He might have become a sensible, responsible kid!